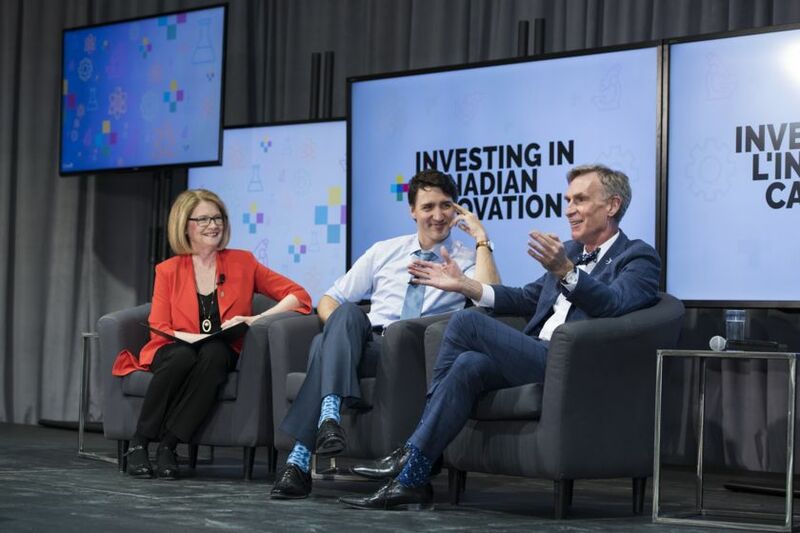 Last week The Planetary Society’s CEO Bill Nye was invited to Ottawa to meet with Prime Minister Justin Trudeau and discuss the importance of Science, Technology, Engineering and Mathematics, a focus of the 2018 Canadian federal budget. As the Society’s National Coordinator for Canada, I was invited to join Bill and guide the conversation on our goals for Canadian space policy. 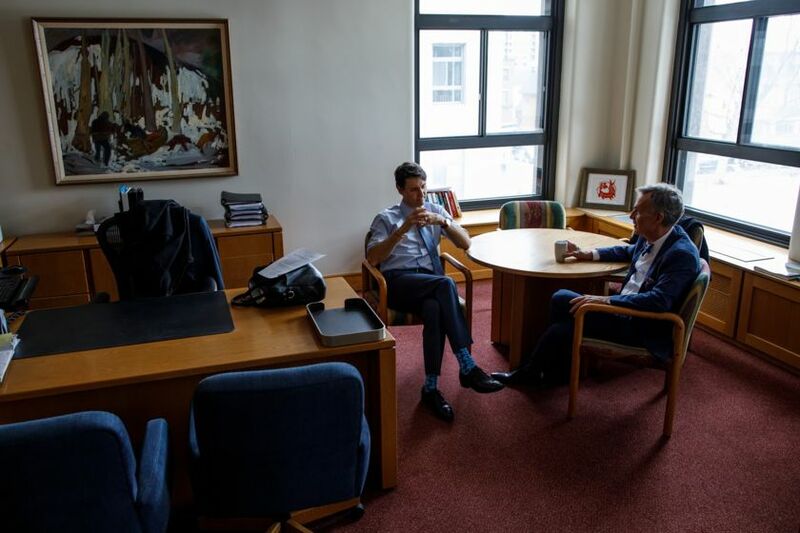 Bill Nye sits down with Prime Minister Justin Trudeau. The day in Ottawa was packed with opportunities to advocate for a stronger space program for Canada. First, Bill had a private conversation with Prime Minister Trudeau. The two then had a “armchair discussion” event at the University of Ottawa, joined on stage by Canadian Parliamentary Secretary for Science Kate Young, and local PhD students Caitlin Miron and Ayda Elhage. Finally, Bill spoke with many of Canada’s national news outlets to expand on his on-stage remarks. Bill Nye speaks with Canadian reporters. Throughout all these interactions, the message was clear: Canada needs a vision for space. In the wake of the 2018 federal budget announcement, it is tremendously important to communicate this message. After more than a decade of stagnancy, Canada’s space program is in urgent need of strategic direction, as well as sufficient and predictable funding, regulatory reform, and education and outreach initiatives. Bill emphasized that ambitious activities in space are a source of national pride and inspiration, and engage and nurture the country’s talented minds. 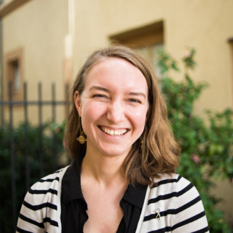 Planetary science in particular is an avenue for ambitious projects on modest budgets. A country with a small population like Canada’s doesn’t need to commit funding on the same scale as the United States to accomplish great things in space. 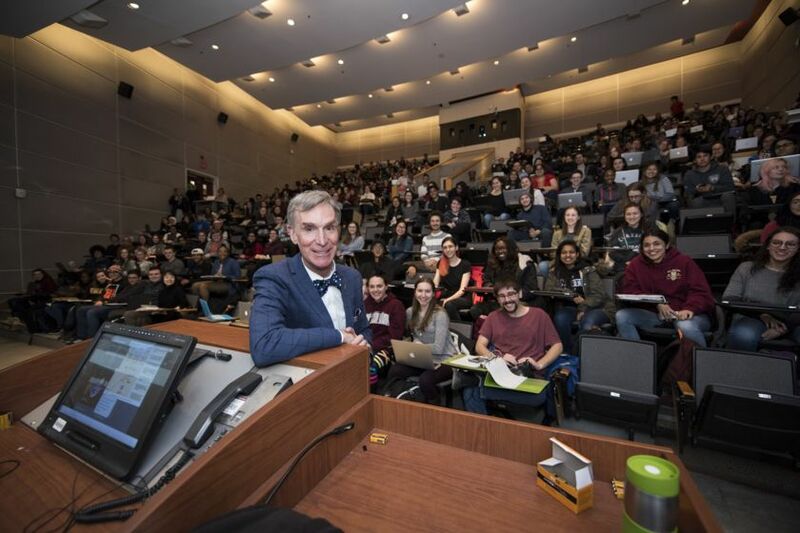 To wrap up the day in Ottawa, Bill was invited to make an appearance in an Introduction to Biology class at the University, taking the students by surprise. He urged the students to continue their studies so that they might, someday, be the ones to discover the signs of life on another planet. Bill Nye making a surprise appearance at a University of Ottawa Intro to Biology class. Inspiring excitement about space exploration is half of The Planetary Society’s mission. Leveraging that excitement to build public support for space funding is the other half. 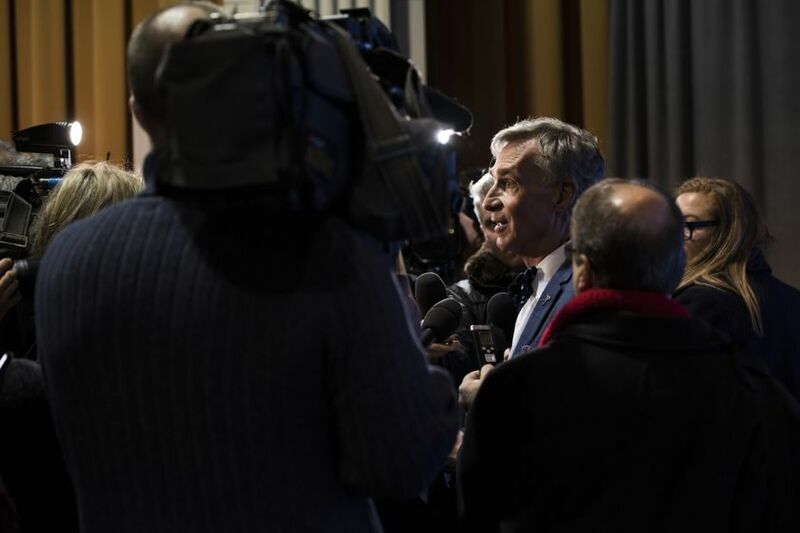 Last week’s visit to Ottawa provided The Planetary Society with the opportunity to do both, connecting with the highest levels of Canadian government and with the wider Canadian public and bringing the importance of a strategic space program to the forefront of the conversation. As the Canadian space community regroups after the budget release, The Planetary Society will be at the planning table. Throughout this year, we will be working with our partners in Canada to find ways to engage our members and volunteers to advance space science and exploration in 2019 and onward. If you’re not already signed up, make sure you register for updates on our work. And if you want to take a bigger step toward supporting our mission in Canada and around the world, join us as a member.